What’s the Advantages of Rotary Heat Transfer Machine? Home / BLOG / What’s the Advantages of Rotary Heat Transfer Machine? With the development of the technology, the rotary heat transfer machine is getting more and more popular. Today I will share you the advantages of this machine. Rotary heat transfer machine is a roll to roll heat press machine to print on roll to roll fabrics and cut pieces ,which is easy operation through continuous system ,Eletronic contactor switching for noise free and zero maintenance ,Rewind roller adopted to roll the finished printed paper,and use digital micro controller to control all the parameters like, drum rotation, temperature etc. Firstly, from the side of the working efficiency. The rotary heat transfer machine is a wide format machine. So just from the transfer size, you can transfer a large quantity patterns at a time. So if you use it for the T-shirt or sportswear , you can transfer a lot in a time and don’t need to make this process one by one. This advantage can help you save a lot of time and cost. Secondly, from the side of textile transferred. 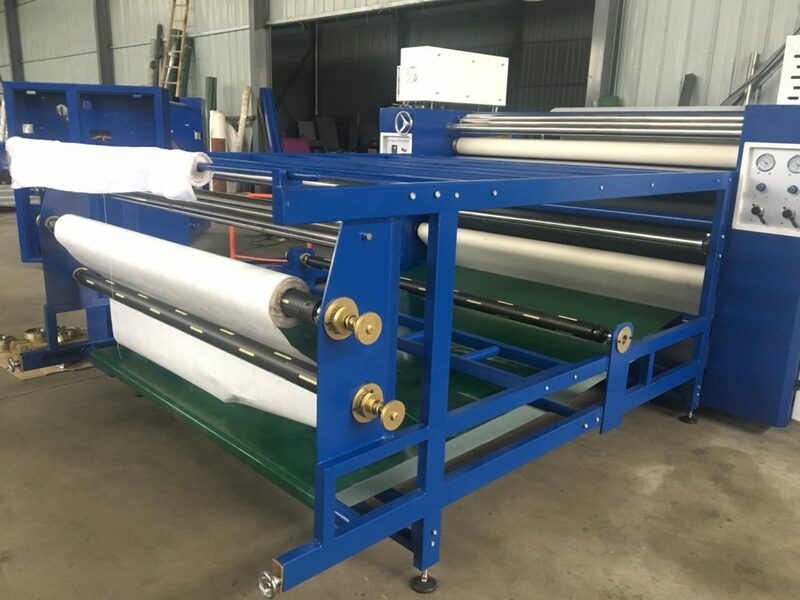 The working principle of the rotary heat transfer machine is to make the sublimation paper and textile under the high temperature and pressure. Then the patterns can be transferred successfully. Well use this machine for transfer, the patterns on the textile can have brilliant and vivid color. What’s more, the textile after transfer may also have high color fastness. So you don’t need to worry if the patterns would be washed out or shined out. At last, from the side of operation. This rotary heat transfer machine can help you save a lot artificial. Sometime only one people can operate this machine. Transfer speed is equipped with continuous speed adjustment system, feeding equipment is convenient for operation with swiftness and high reliability. Apart from this, our this calender heat transfer machine can have long service life. Of course it has one year warranty, if you have any problems about this machine you can contact us at any time. We will help you at the first time. We Nanjing Fei Yue Digital is a company specializing in sublimation transfer printing equipment and materials. We provide the best quality product in a affordable price. If you are looking for a partner and are interested in our products, please feel free to contact us.